Диск не включен в комплектаций! 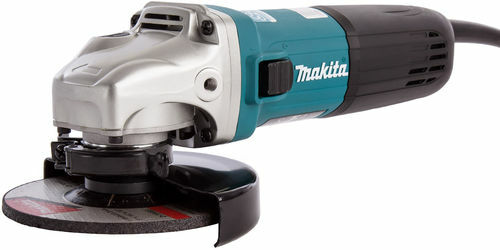 The Makita GA5040C Angle Grinder is a powerful 1400W machine and is the successor model of the 9560 featuring "Super Joint System II" (SJS II) developed for effective vibration absorption. Also benefits from electronic current limiter, speed control and soft start. "Super Joint System II" provides increased machine durability by absorbing the vibration produced by the wheel grinding or cutting material.